Construction began Tuesday morning on the new community for evictees of the Amona outpost. The construction comes after months of arrangements, promises, meetings, and protests by Amona evictees and their supporters. Residents of 35 homes in the central Shomron village of Amona were removed from their homes at the beginning of February in an eviction action that passed relatively quietly — due to the repeated promises by government officials, including Netanyahu himself, that a new village would be built for the residents. After those evictions, however, residents expressed anger over the slow pace of negotiations and decision-making on where they would live. Originally, the government was to have arranged for new housing for them even before the demolitions in Amona began — but plan after plan fell through, either rejected by the High Court or due to bureaucratic snafus. No such issues are likely to crop up, Justice Minister Ayelet Shaked said in a statement. The new town, called Amichai — located in the area of Shilo, in the Binyamin region — is perfectly legal, and there are no issues of Palestinian land ownership involved. 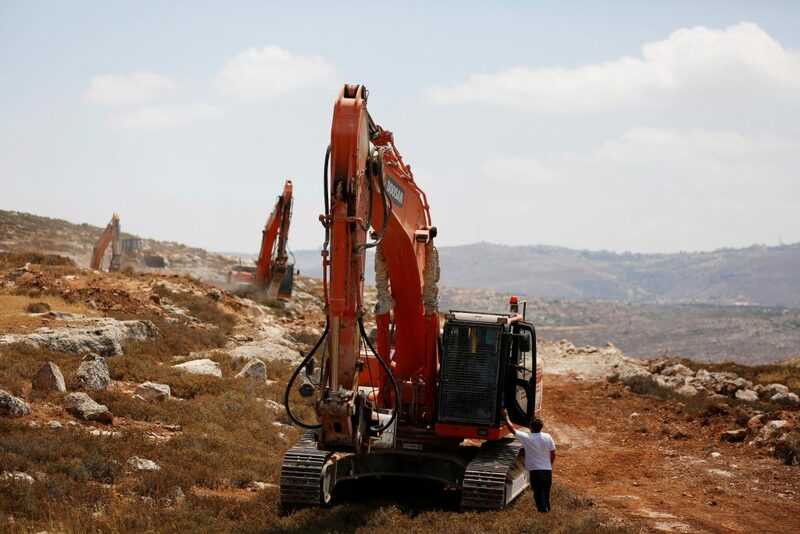 “Thanks to the determination of the residents of Amona and the work of the government, a new town is being established in the Land of Israel,” she said.